This coffee will be fresh roasted for you. We expect CREMA will roast and ship this coffee in 1-2 business days depending on their roasting schedule. 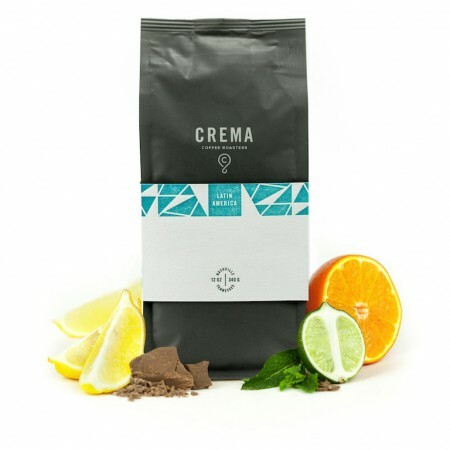 The Colombia La Laguna was blended and roasted for you by CREMA. This decaf coffee from the Cauca region of Colombia and was produced by the various small holder producers at 1,400 - 1,800 meters and was fully washed before being decaffeinated using the natural Ethyl Acetate (Sugarcane) decaffeination method. We like this coffee for its notes of dark chocolate, honey and tangerine and its balanced character. Pretty bright flavor with a dark chocolate fudge aroma.